However, there is an important distinction between climate and weather, and the changing climate can have a wide range of effects upon the weather. In recent years, there have been some episodes of extremely cold winter weather in such places as the Eastern United States and in the UK. Last winter was relatively mild in many places in Upstate New York, but the winter of 2014/15 saw record snowfall levels in New York. The conventional wisdom is that the natural variability of the position of the jet stream was the cause of the severe weather. Research groups in the UK and at the US Oceanographic and Atmospheric Administration have been looking at the recent weather patterns and now believe that the pronounced warming taking place in the Arctic may be amplifying the effects of natural jet stream variations. The polar vortex, which is an upper-level persistent low-pressure area that lies near the Earth’s pole, is being affected by the Arctic warming. When the vortex is strong, the cold air beneath it stays relatively put. When it weakens, it can break into multiple vortices and send masses of cold Arctic air southward. This in turn leads to a wavier jet stream that results in extreme cold weather spells in such places as the eastern seaboard of the US, Eastern Asia, and in the UK. Weather is a very complicated phenomenon and a warming climate does not necessarily always lead to warmer weather for everyone. 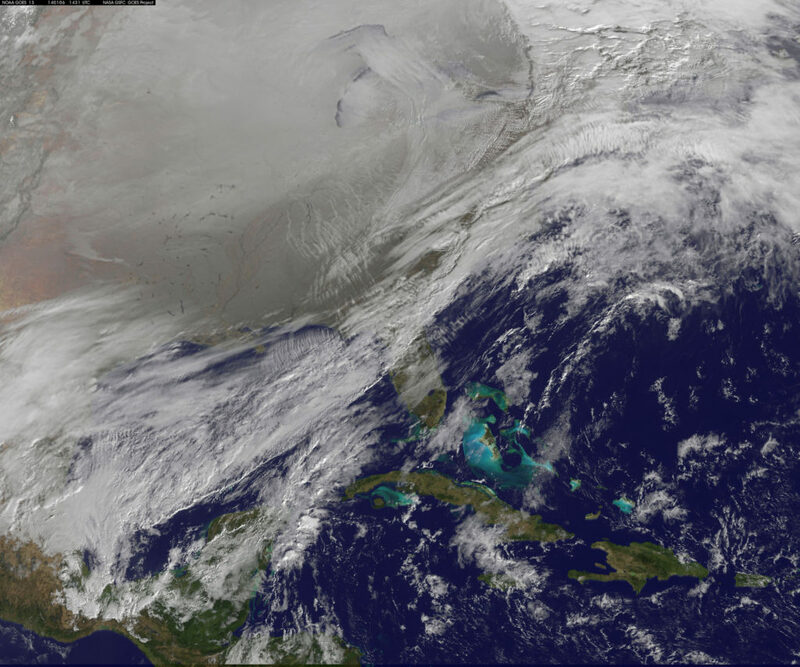 Photo, posted January 6, 2014, courtesy of NASA Goddard Space Flight Center via Flickr. ‘Extreme Cold and Climate Change’ from Earth Wise is a production of WAMC Northeast Public Radio.